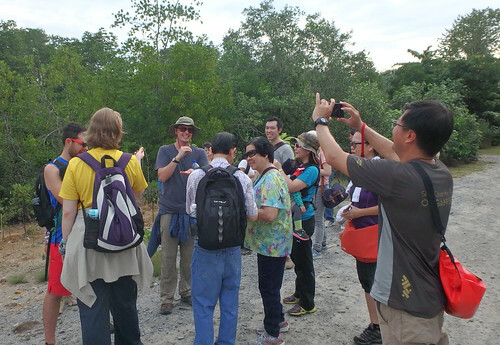 On 14 Aug, RUM Research Assistants Zheng Zhangxin and Ong Wei Bin led by Prof Dan Friess did the first mangrove mapping at a RUM site! 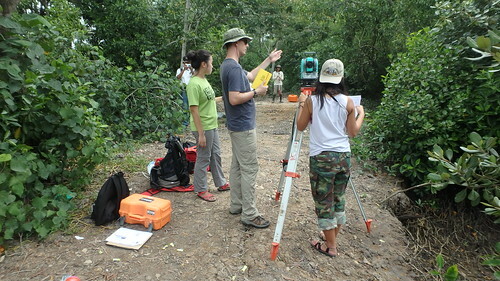 Thanks to support from Joseph Lin from NParks and Mohammad Juhari for documenting our work as usual. 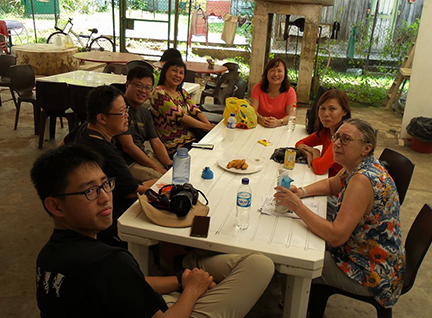 We also met up with Phillip Lim and Ah Yong who are kindly helping to explain RUM to the Chinese speaking villagers and shopkeepers. While Mohammad Juhari kindly agreed to help explain to the Malay-speaking villagers. 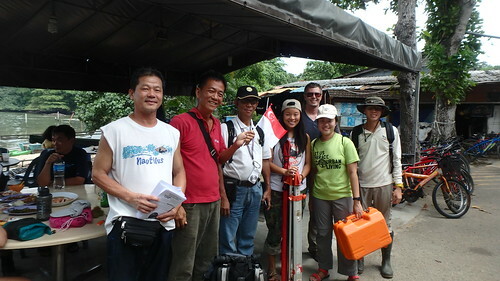 To help them, we have prepared RUM pamphlets in English, Chinese and Malay. Thanks for the Chinese translations to Toh Chay Hoon, Heng Pei Yan and Jonathan Tan; and for the Malay translations to Mohammad Juhari. The pamphlets are on the right side-bar of this blog for your free download. 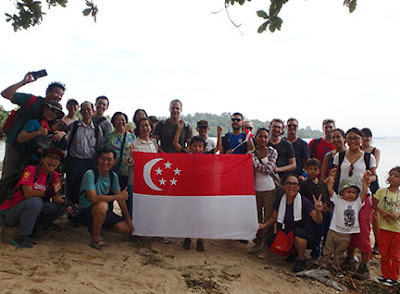 Later in the afternoon, about 30 people joined the leisurely mangrove walk where RUMblers shared about the an exciting ground-up community effort to give Mother Nature a hand in restoring mangroves at abandoned aquaculture ponds on Pulau Ubin. 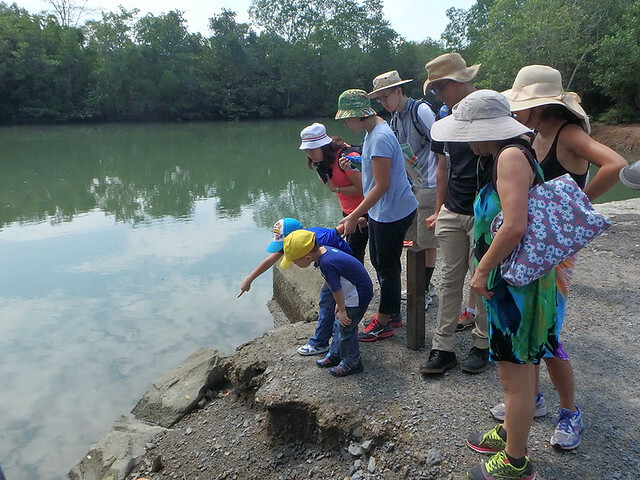 By using the Ecological Mangrove Restoration method, mangroves will be naturally restored at abandoned aquaculture ponds on Pulau Ubin. Here's Prof Dan Friess sharing about mangrove trees and their special strengths and needs. 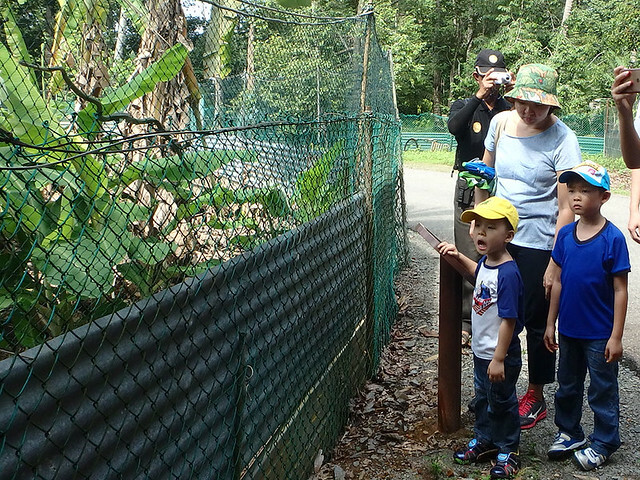 We saw amazing mangrove creatures such as several monitor lizards that look like they were quarreling over a female. A sharp eyed visitor spotted a beautiful Oriental whip snake. Photo by Victor Toh on facebook. Everyone loves durians! 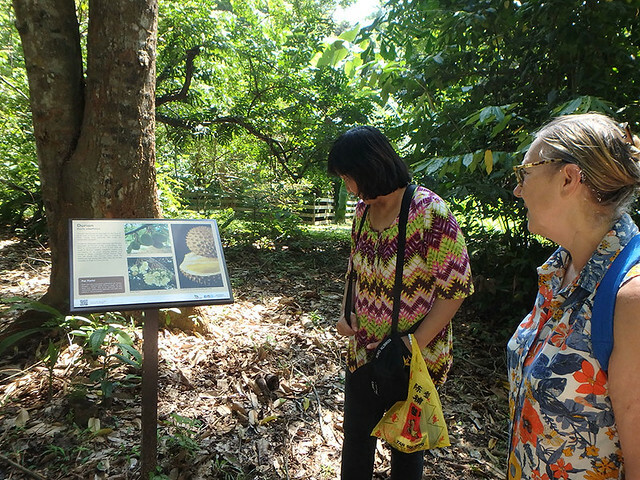 And without mangroves, we would have no durians! In July, about 30 people also came for a similar walk. 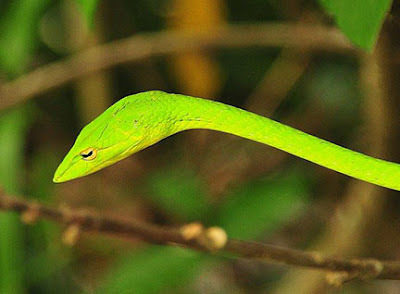 During that walk, we also saw a Paradise Tree snake! Thanks also to Uncle Lim of No. 42 Pulau Ubin for graciously allowing us to use his shop for the discussions before and after the walk. And thanks to all the great visitors, RUMblers and the wonderful friends making these walks possible. About 30 people joined each walk. 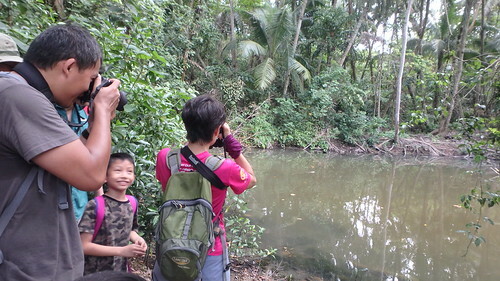 We are hoping to do this free mangrove walk every month to share about RUM and Ubin's mangroves. Join the RUM facebook group for the latest updates.